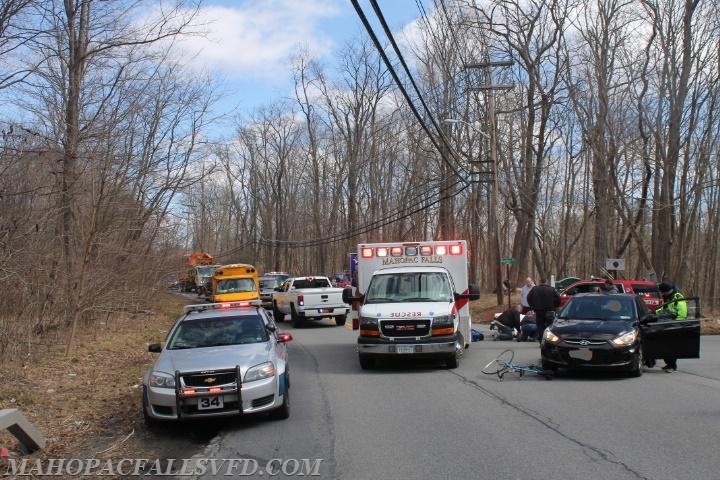 Mahopac Falls Fire, EMS and Fire Police were dispatched to a car vs bicycle accident at Rt 6N and Potter Rd., near the County sand pile. Responding were Chief Brian Sacher, 2nd Asst. Chief Bob Trace, EMS Unit 19-7-1 and multiple MFVFD Fire Police and Carmel Police units. As EMT's and EMS members took charge of the patient, Fire Police officers to control of the safety of members working on the patient in the street and a smooth flow of daytime traffic around the scene. Members also kept a watchful eye on the driver of the vehicle, who was shaken up but uninjured. Carmel Police had multiple units on the scene in minutes and began their investigation immediately. 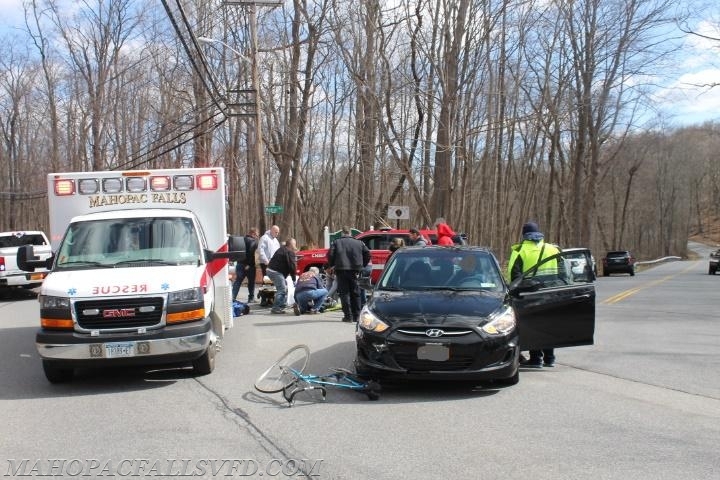 The bicyclist appeared to have minor injury and was transported to Hudson Valley Hospital by MFVFD 19-7-1, freeing up the fire police to open the road.